Tallaght Theatre is a multi-award winning amateur dramatics group and community venue in South Dublin. The group was formed in 1975 and in the past 40+ years has presented hundreds of stage shows and live events for thousands of audiences and remained firmly at the heart of our local community. Tallaght Theatre does NOT receive ANY state, public or private funding and finances itself solely through its shows and affordable venue rentals. Although construction continues on our new venue on the Greenhills Road. 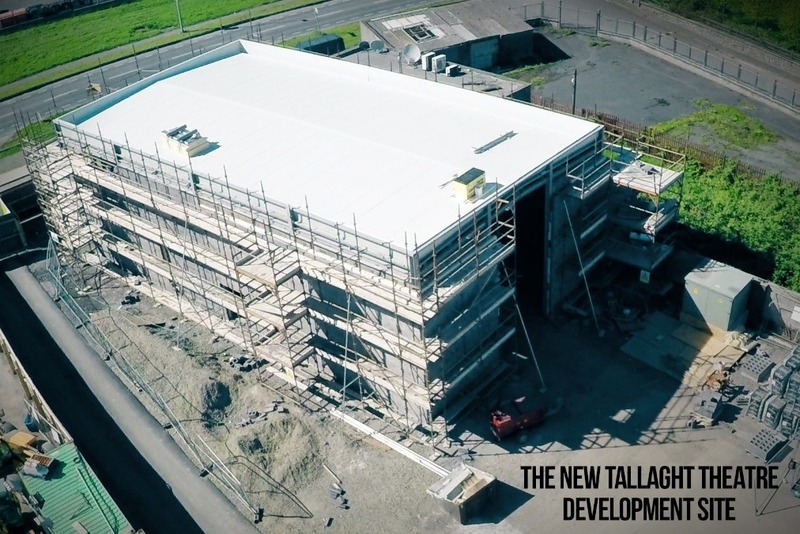 We at Tallaght Theatre are asking for YOUR help, donations and support to ensure the completion and future proofing of the new Tallaght Theatre venue and operational costs. PLEASE help us to continue bringing the creative arts, drama and live performance to the heart of the South Dublin community and to excel the next generation of actors and actresses just waiting to take to the stage! For all your incredible support now and always... Here is to the next 40 years of Tallaght Theatre ... and beyond! Click > "15%" on the GoFundMe drop down "tip menu" and choose "Other"
HURRAY! You're done! and have made a major contribution to the future of Tallaght Theatre. We will also be are offering the public the opportunity to be part of our future "Brand a Brick" campaign soon. Email: donate@tallaghttheatre.com for details.